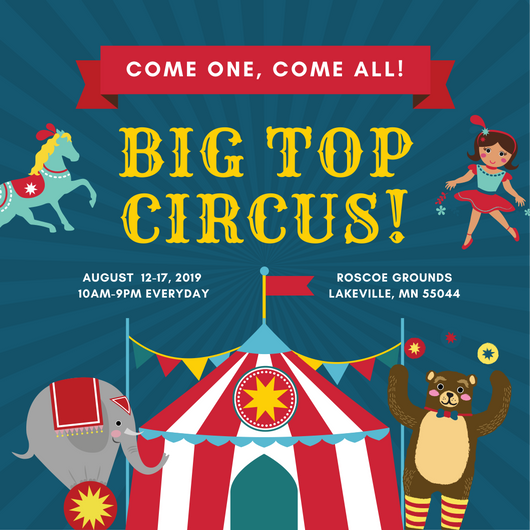 Put on a great show and make the best out of your event with a circus or carnival-inspired celebration filled with bright and festive colors, fun games, exciting prizes and, of course, yummy food! 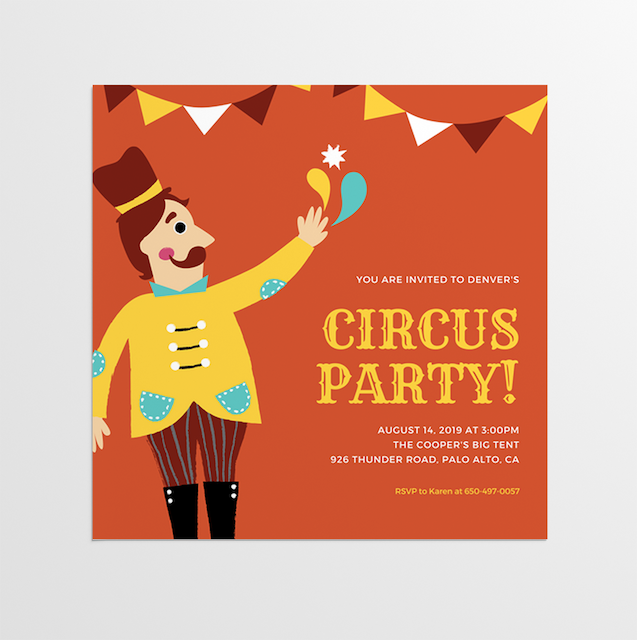 Throw the best circus party you could ever hope for with ideas from our collection of inspiring photos and designs. 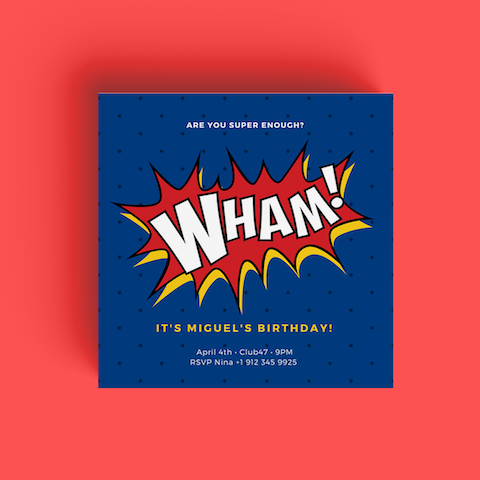 Set your event apart with an entertaining party invite, poster or graphic! 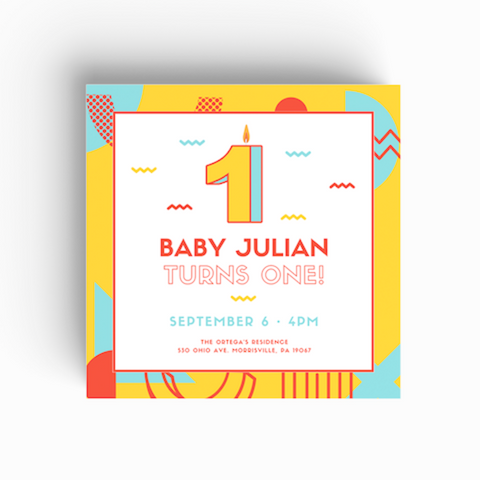 Are you looking for bright colors, interesting patterns, fun illustrations or all of the above? Find them all there in our selection of vibrant and entertaining designs! 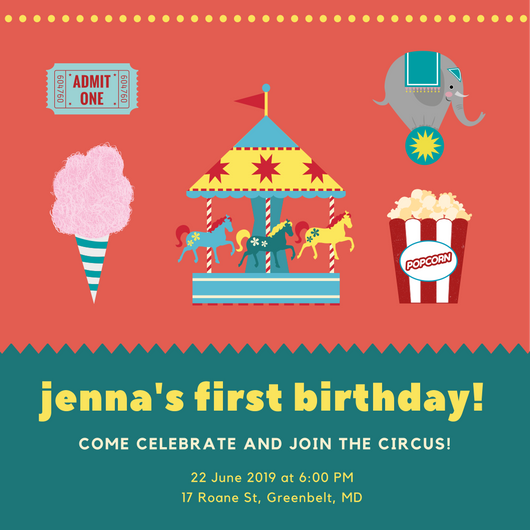 Step right up and feast your eyes on these wondrous images and designs Canva has specially selected to help you find the best ideas and inspiration for your circus party! Find all the elements you need to throw a positively merry fete! Use bright and vivid colors in your party decors. 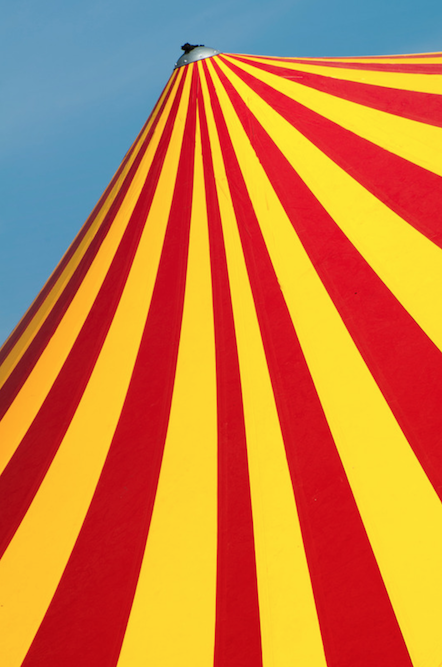 Take inspiration from the vibrant red and yellow color combo of a circus dome. 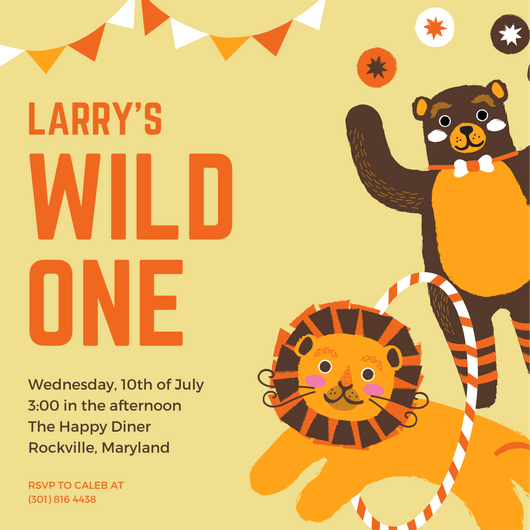 Make your party complete with this cute, illustrated invitation! 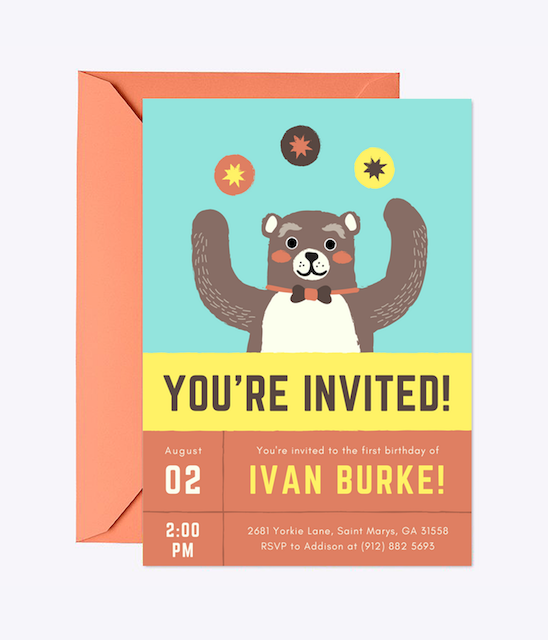 This invite features a blue, yellow and orange background and an illustration of a juggling bear. 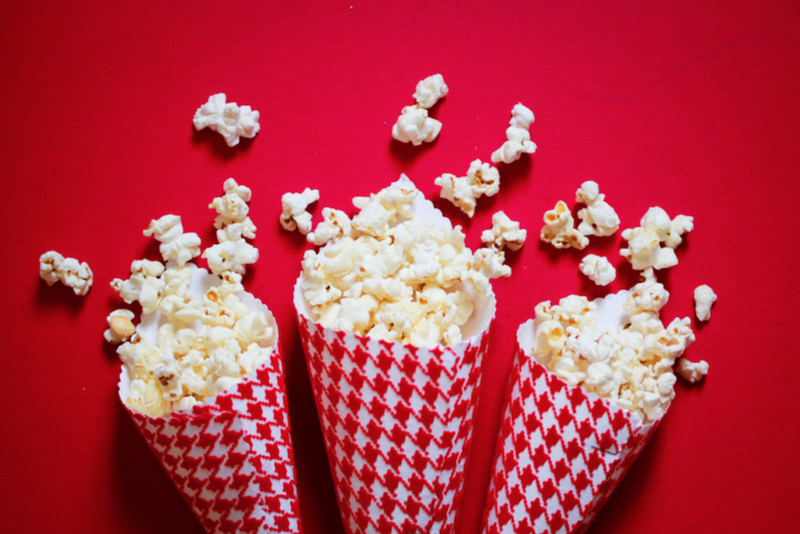 Don’t forget to serve popular carnival treats like popcorn! Put them in cute paper cones to make your guests feel like they’re at a real carnival! 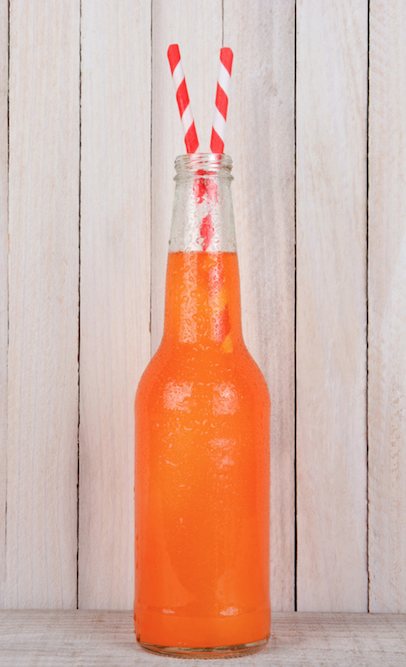 Keep your guests cool and refreshed with fun popular drinks like orange soda! It’s all in the details! Make everything as colorful as you can, even down to the straws! 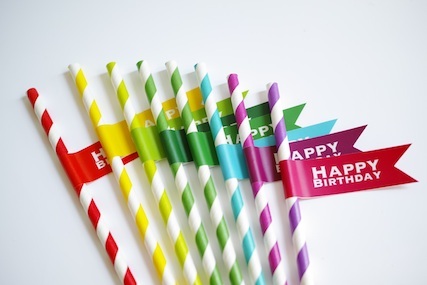 Use striped straws in different colors to liven up every drink! 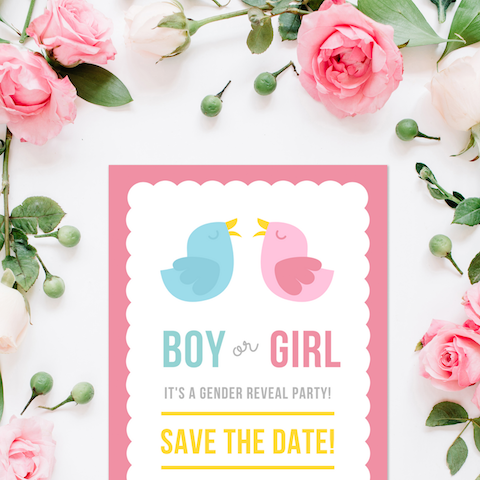 This cute illustrated invitation brings that special sense of delight to your event! 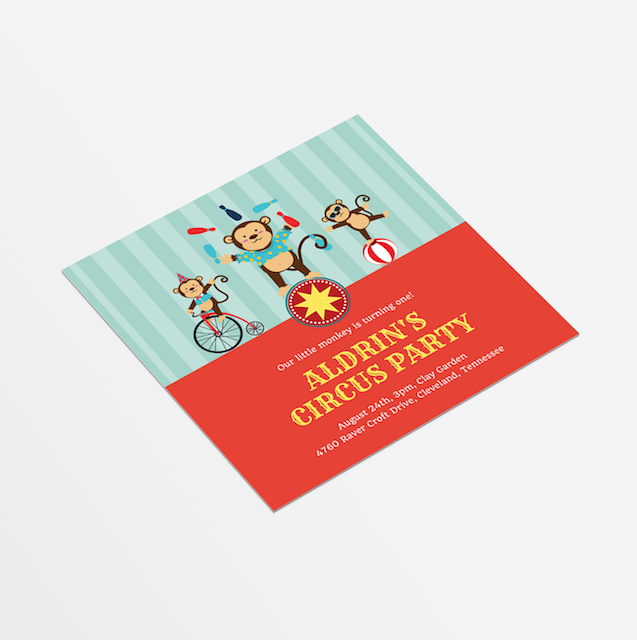 This design sports an orange background and a charming illustration of a ringmaster. Everyone will love you for serving their favorite treat! 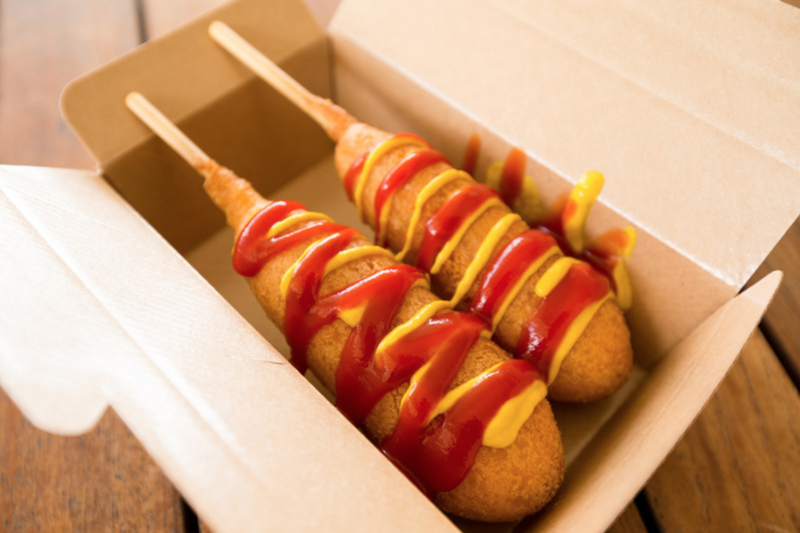 Have corn dogs ready for your guests to get them partying hard! 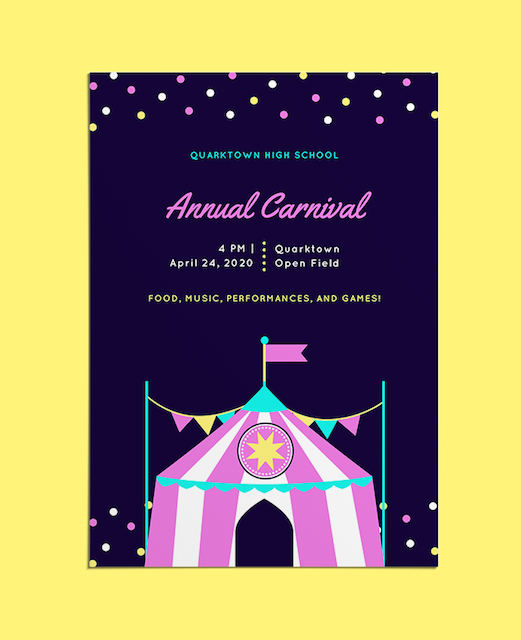 Incite utter excitement about your carnival-themed event with this gorgeous poster! 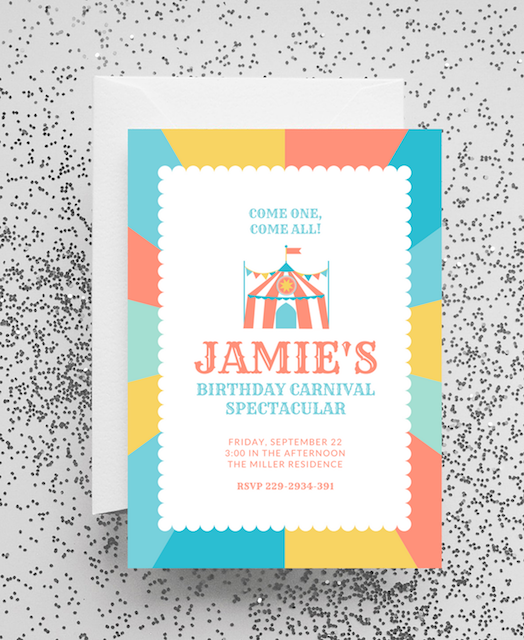 This design features a blue background with dots and a pink, yellow and green illustration of a circus tent. 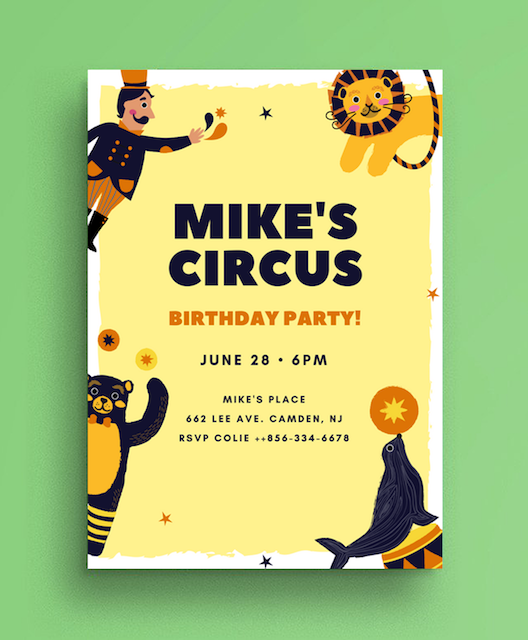 Make the party extra special with a great-looking invite like this striking design featuring a black background, white typography and an illustration of circus animals and a ringmaster. 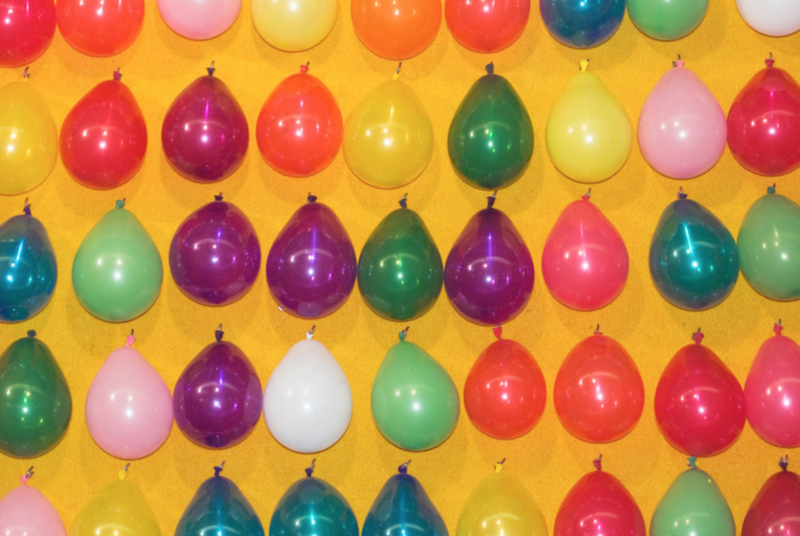 Double up on the number of balloons you had in mind to make your event a truly fun and festive one! 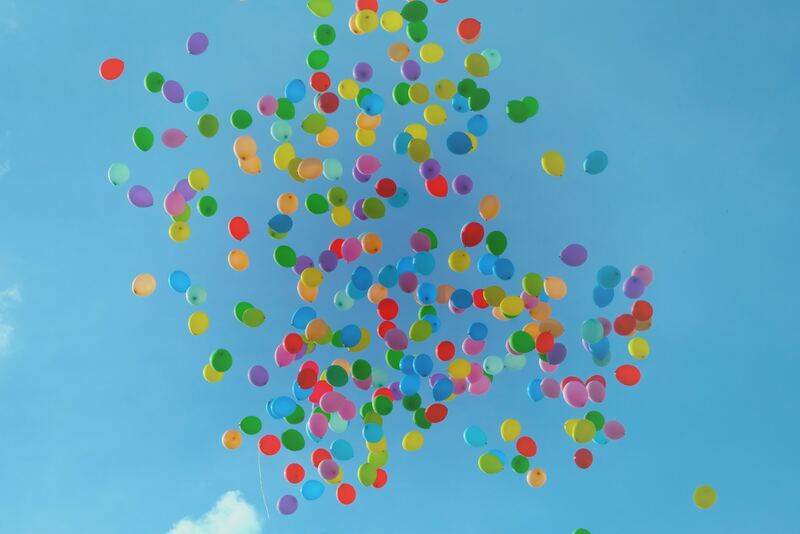 The more colorful the balloons, the better! 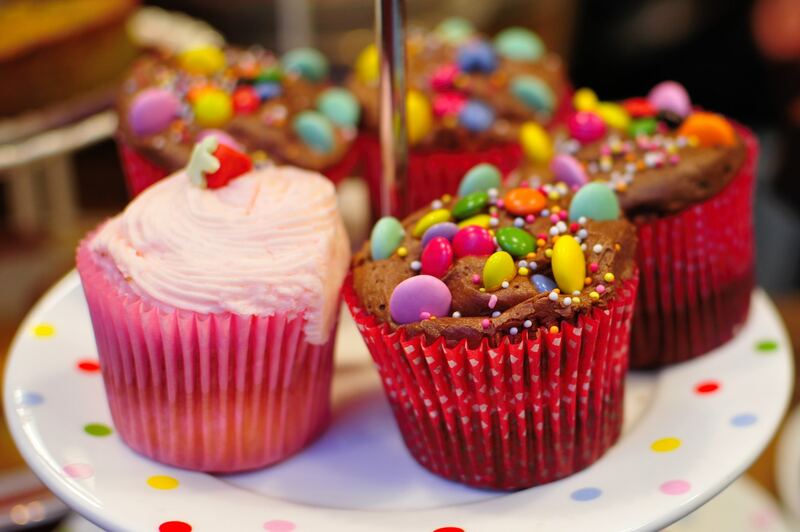 Keep the dessert table vibrant and enticing with cupcakes topped with frosting in different colors and candy coated chocolate chips! 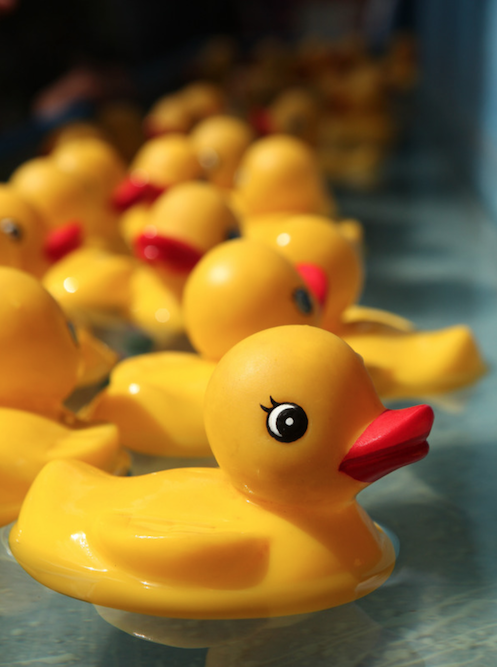 Set up your own duck pond carnival game! Just buy a bunch of yellow rubber duckies, fill a large basin or a small inflatable pool with water and you’re good to go! 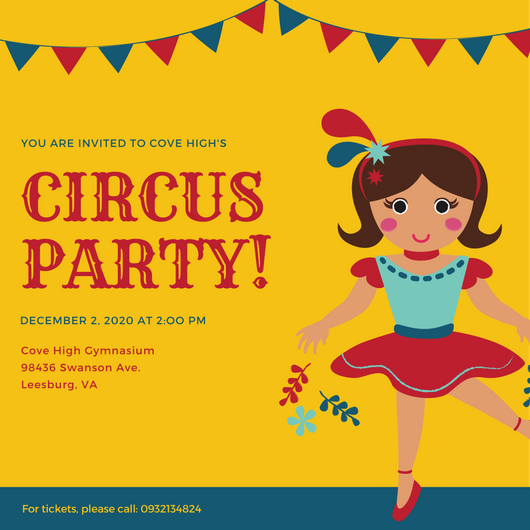 Invite friends and family to your circus party with a little flair and a little sunshine! 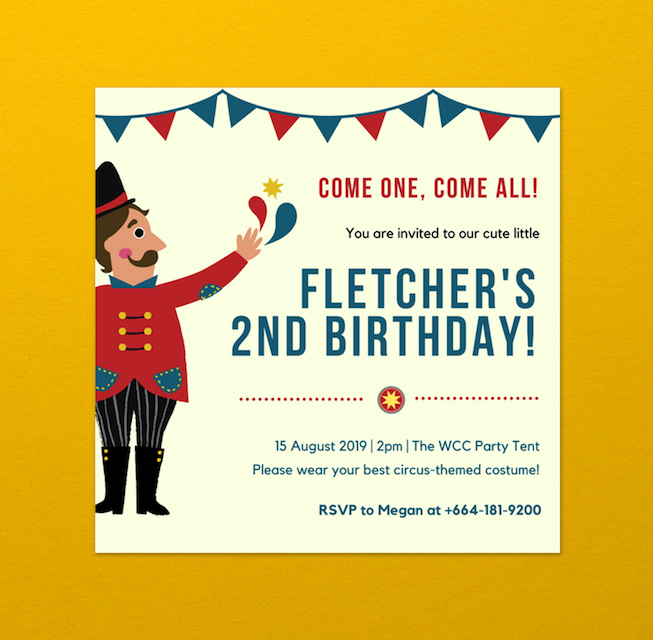 Use this fun invite featuring a yellow background, white dotted border and an illustration of the top of a circus tent. 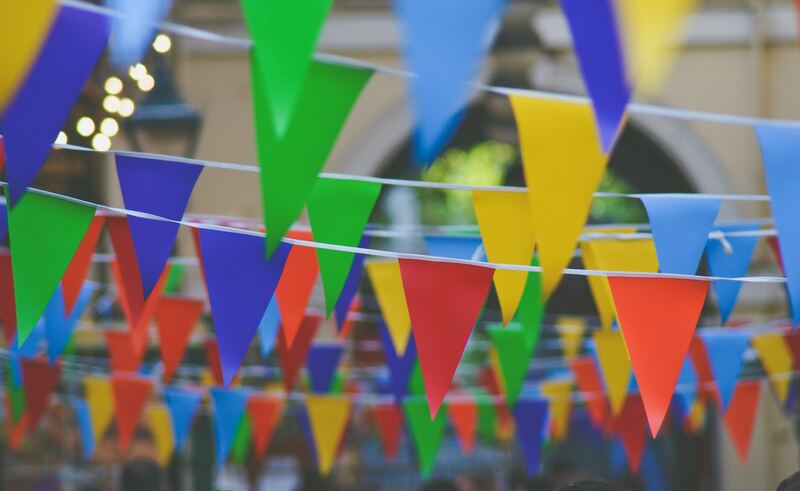 String up colorful buntings around your party venue to create the perfect circus-inspired ambience! 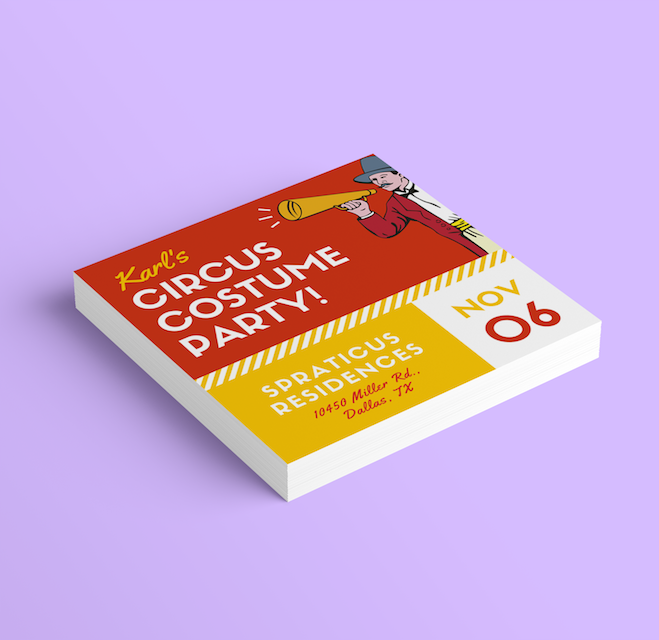 Get all your guests pumped up and excited to party with this flashy invite sporting a red and yellow theme, bold typography and an illustration of a megaphone-holding ringmaster. What’s a circus party without candies, right? 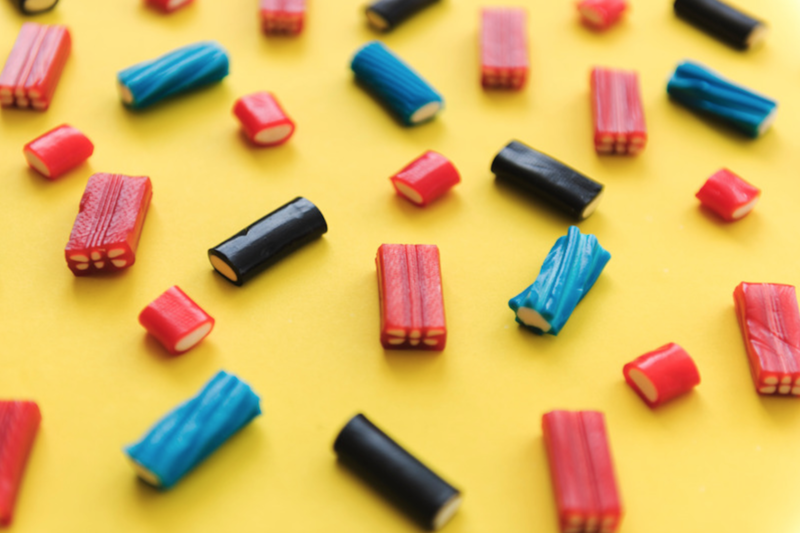 Make sure you have a wide selection of sweet treats such as colorful candy sticks. Fill your dessert table with this classic treat! 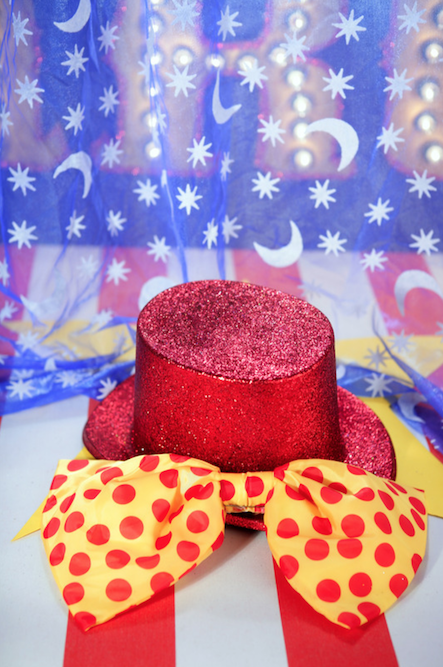 Party hats are always in fashion, especially at carnival-themed celebrations! 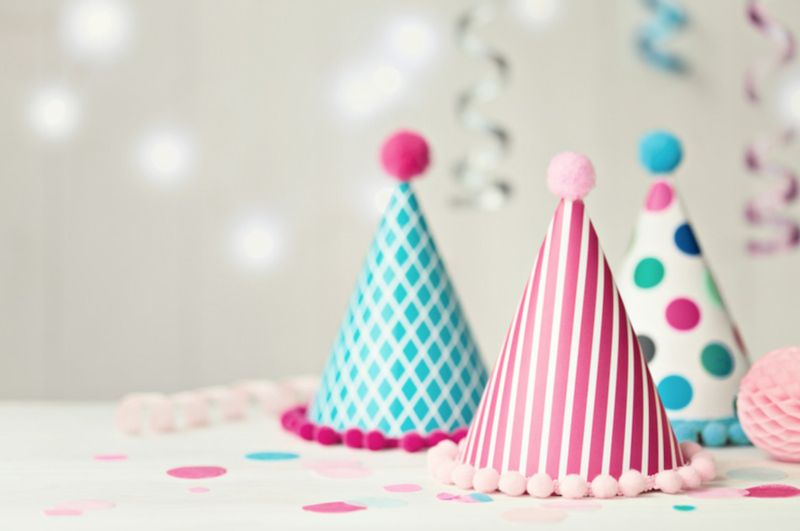 Set out colorful party hats for your guests to keep the mood going. Let the bright colors reel them in! 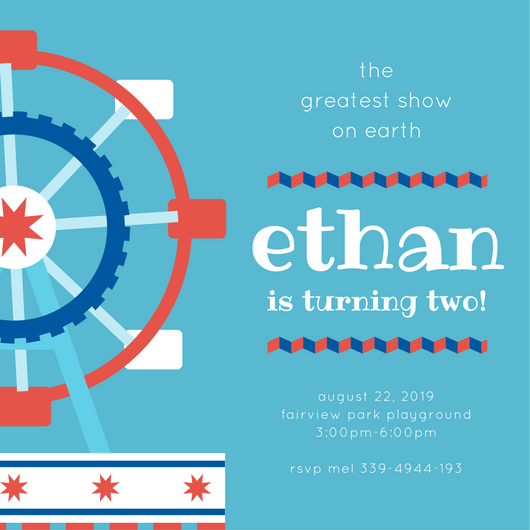 Use this cute party invite featuring a yellow, pink and blue border, an illustration of a circus tent and cool decorative fonts. What’s a circus party without clowns, right? 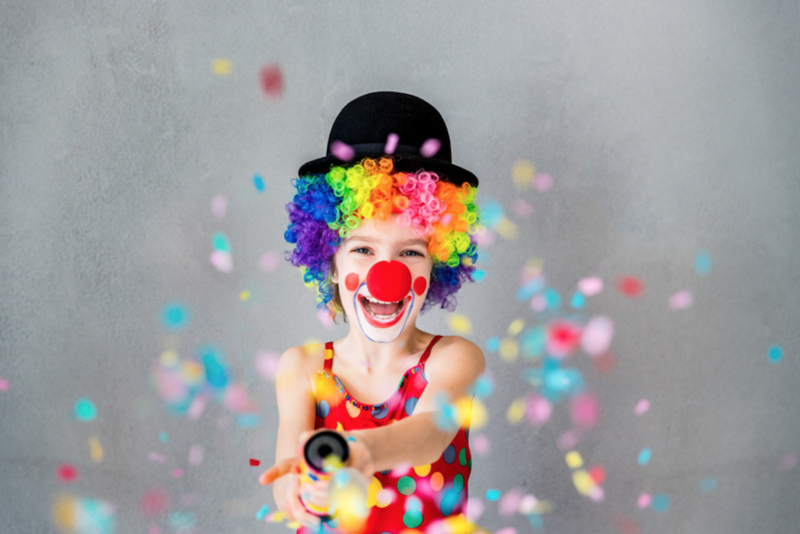 Have a clown costume contest or hand out funny red clown noses or colorful wigs! Of course, you have to make the cake as colorful and festive as your event theme! 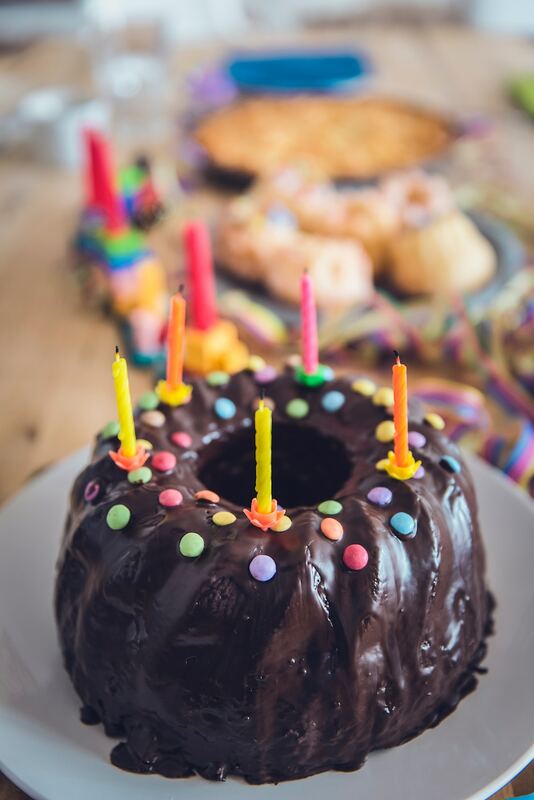 Take inspiration from this chocolate cake topped with colorful candy and candles. 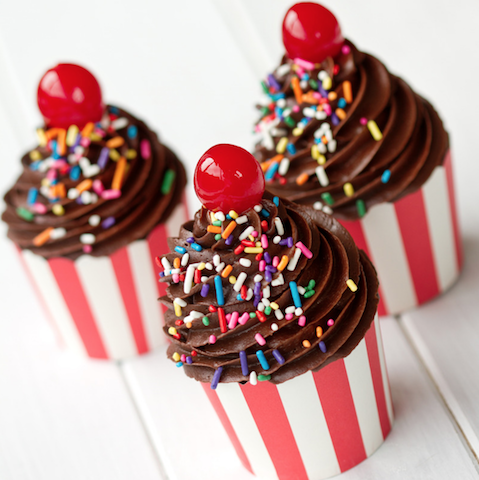 Make sure your cupcakes also carry the circus theme! Basically make them as festive as possible with frosting, sprinkles and maybe a cherry on top! 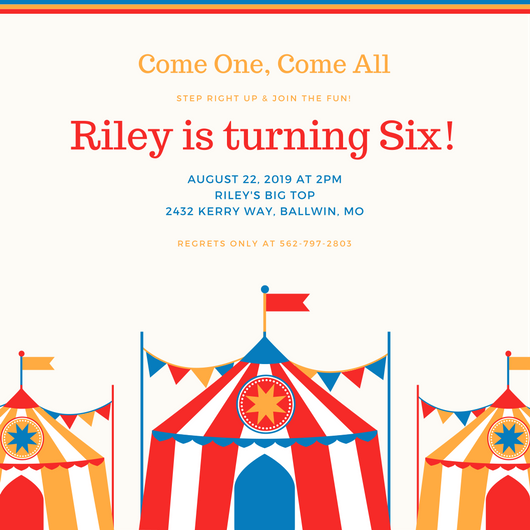 Make your carnival-themed party feel like the real thing by including classic games like the popular balloon dart game! Don’t forget to prepare prizes for the winners! 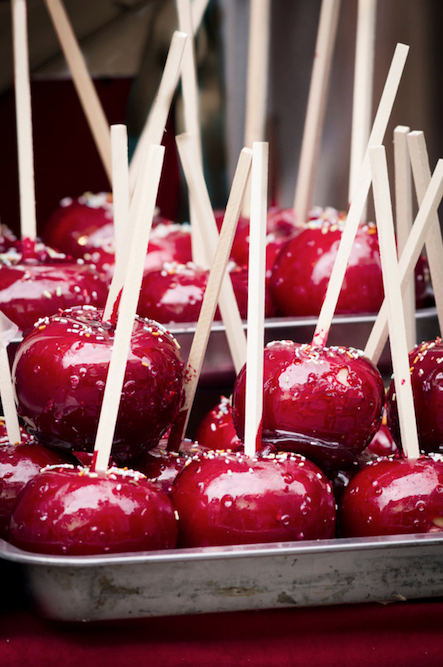 Don’t forget the classic carnival treats, too! 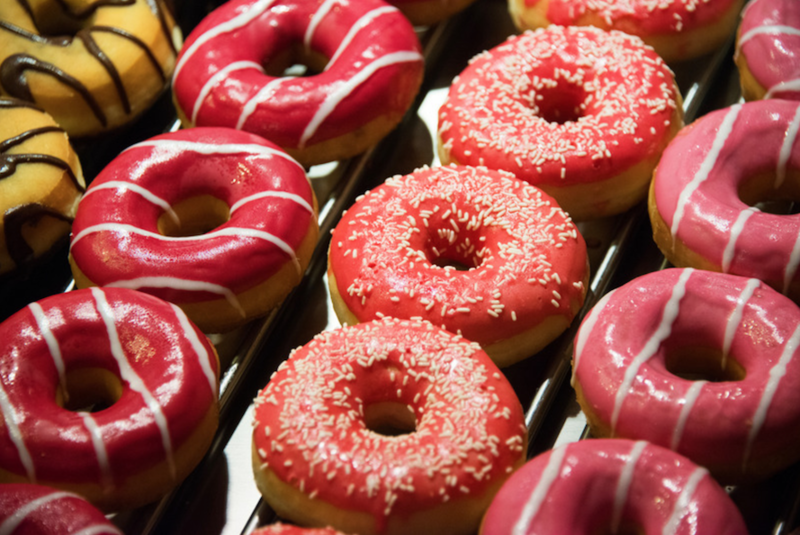 Serve up some sweet glazed donuts at your party. The louder, the brighter, the better! Create a truly festive mood by donning on a glittering top hat with a large dotted bow. 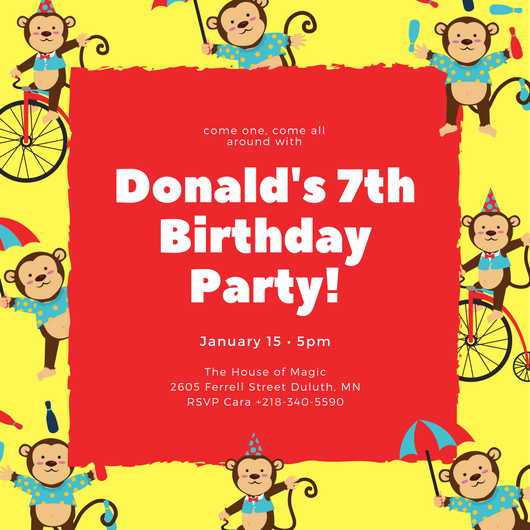 Let everyone know what to expect at your party with this magical invite! 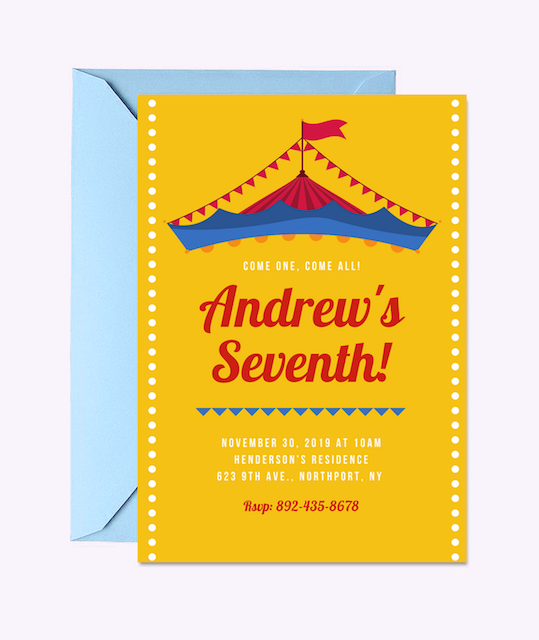 This design features a dark blue background and illustrations of a carnival tent and fancy circus horses. 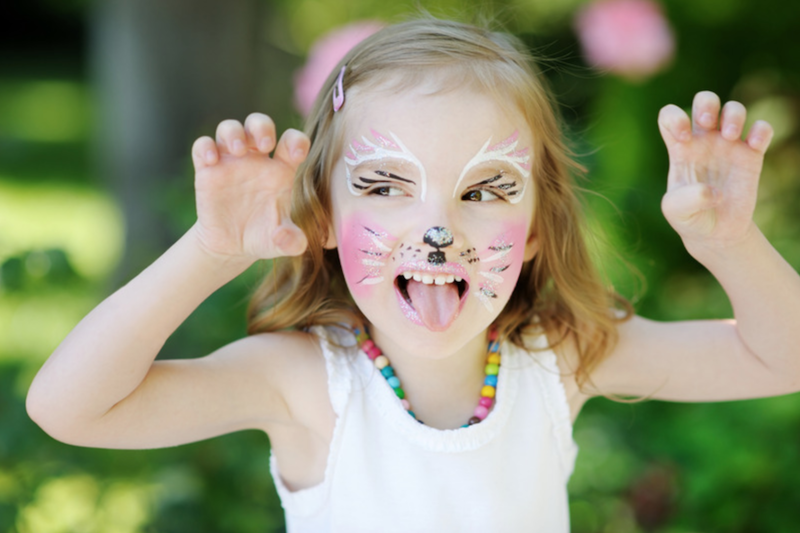 Have loads of fun with face painting at your party! Hire an artist, do it yourself or let the kids experiment and have a blast! 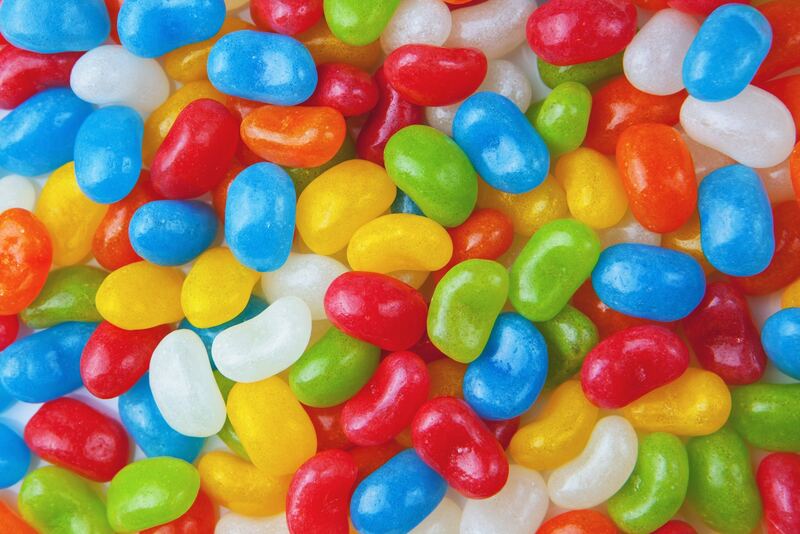 Make your dessert table tempting with colorful treats and candies such as multi-colored jelly beans! 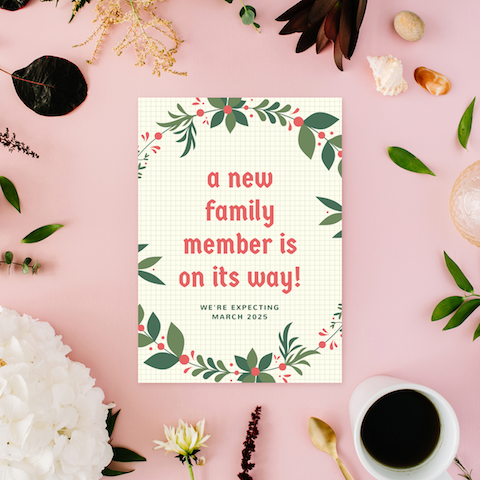 Your guests won’t be able to get enough sweets! 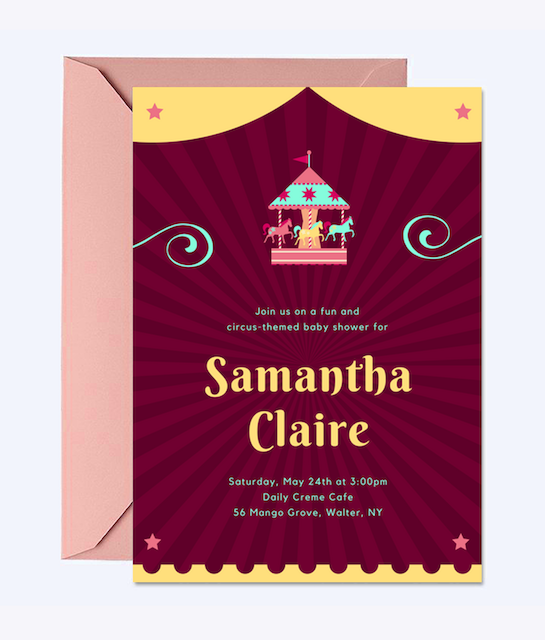 Shower your guests with a little circus vibe with this charming invite featuring a violet, yellow and green color scheme, star icons at the corners and a small illustration of a carousel. 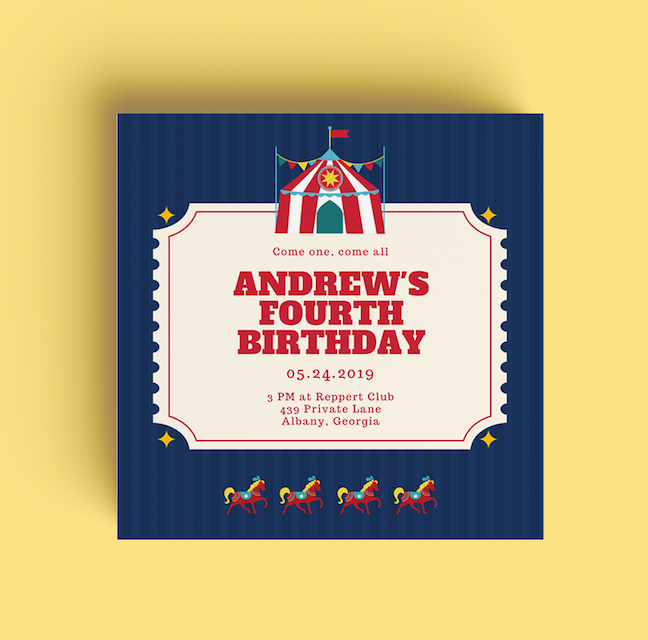 Set the mood and build the excitement for your circus-themed event with this fun illustrated invitation sporting a yellow and dark blue scheme and illustrations of a ringmaster and circus animals. 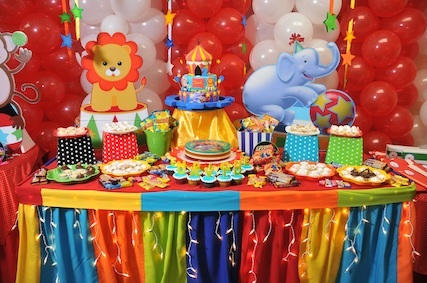 Jack up your dessert table with festive decors like a colorful striped table cover, pop-up paper animals, and dotted or striped stands, buckets and plates! 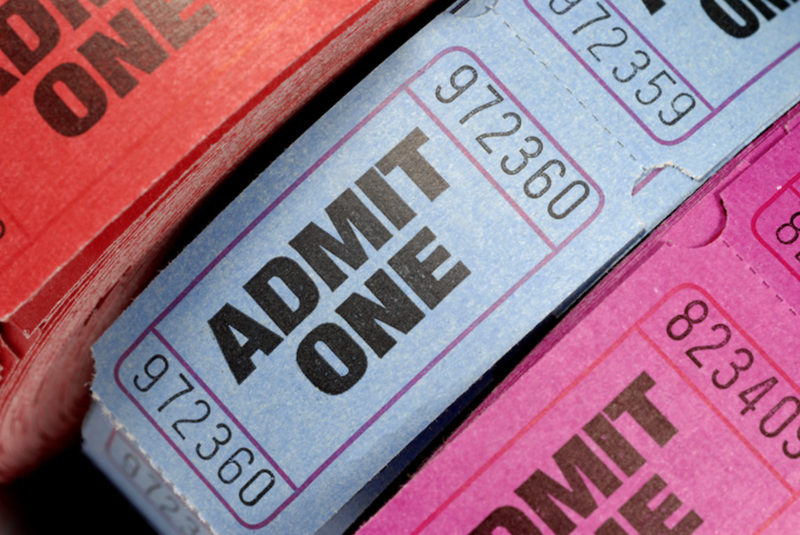 If you want to create an authentic circus or carnival vibe, hand out tickets to your guests just for fun! They can use it to gain entrance or exchange it for treats and games. 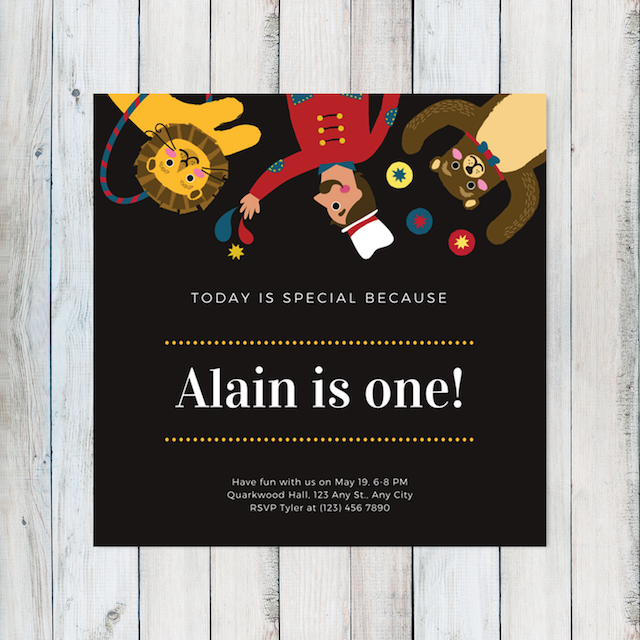 Put the cute into overdrive with this adorable birthday invite featuring a red and cyan background and an illustration of three circus monkeys performing cute tricks! 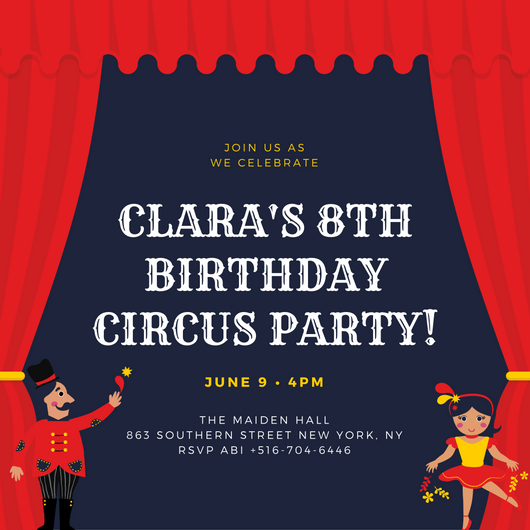 Your party will surely be a blast with this nice and impressive invite featuring a cream background and an illustrated ringmaster and buntings. 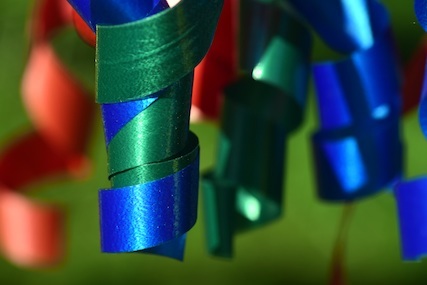 Deck the room with simple but cute decorations like colorful spiral streamers! Even just a few on each corner can brighten up your party space!